Grove Heart Rate Sensor adalah alat yang membaca heart rate. Sensor ini menggunakan connector grove dan interface I2C. Sensor lain yang membaca heart rate adalah Pulse Sensor. Berikut adalah video demo Grove Heart Rate Sensor. i am having problem with this coding. i do not have much knowledge on this type of coding. 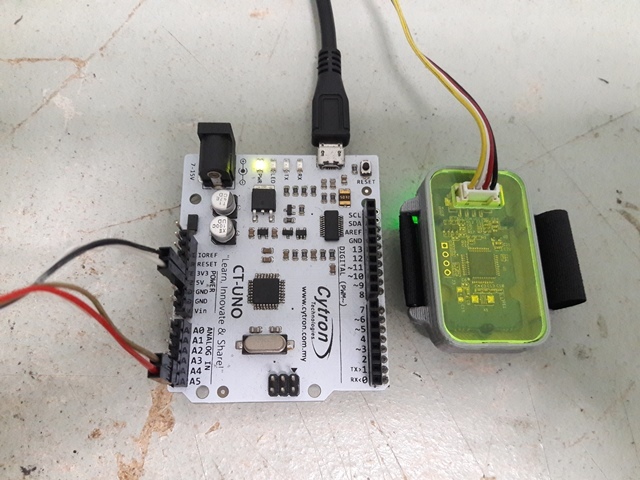 However i am trying to connect the same heart rate sensort to an arduino uno using GND, V5, A4 and A5. Can i be told what i need to input into the coding given to make my sensor read heart rate when running serial monitor on arduino iee software. This would be very helpful and life saving. Can copy of reply be also emailed to my email inbox.